Taste test: These wide-rippled potato chips were excellent. 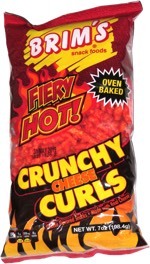 They were crisp, had a nice crunch, and tasted great. There was a moderate level of salt and lots of potato taste. 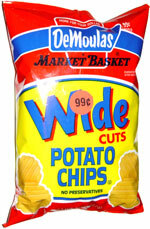 They packed a whole lot of chips into this bag, so for just 99 cents, it was a great value. Smell test: Very potatoey. Nice.